Let’s say your daughter has her eye on a favorite college for all the right reasons. It’s not necessarily a top-ranked university, but it is a private college where her grades, test scores, targeted volunteering, job shadowing, and well-thought-through career goals could make her a great candidate for merit aid (free college money that need never be paid back). This is exactly the kind of college you’d most like to have your daughter attend. A college like this might love to have your daughter as a student — because she’ll enrich their campus experience for hundreds of others. But the admissions committee looks at her application, and hesitates. The admissions committee worries. What if they accept your daughter, and then she turns them down? Your daughter presents a little bit of a risk for this college. She’s not a genius with perfect SAT scores by any means, but she’s a decent candidate. What if she’s only applied to this college as her safety school — and she has little interest in actually attending? If your daughter would love to attend this college, have her call the college admissions office, ask three or four interested questions about the school, and express excitement about attending. If she does this, she’ll greatly increase her chances of being accepted (and being awarded free money merit aid to boot). Are you wondering what kinds of questions she could ask in this phone call? 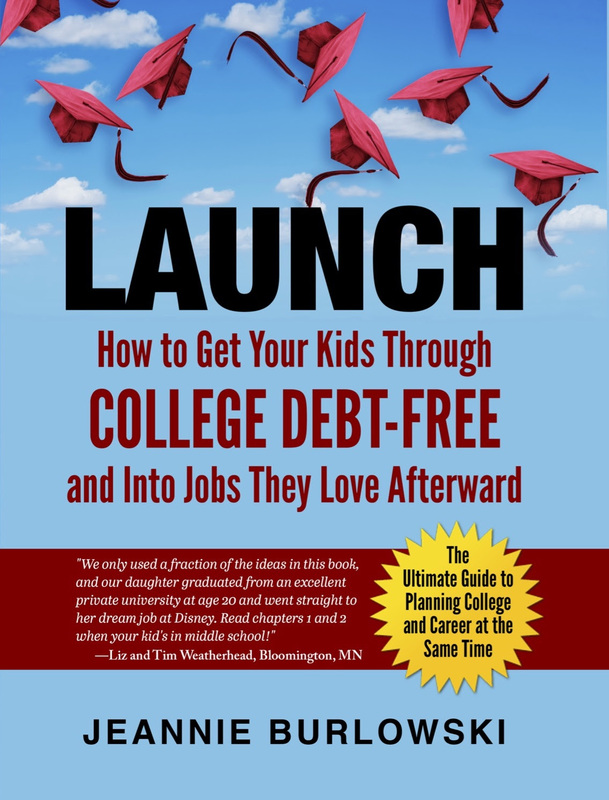 You can get my free printable list of fantastic questions to ask colleges, here. According to the National Association for College Admission Counseling, 50% of four-year colleges report that they view demonstrated interest as having “considerable importance” or “moderate importance” on their admission decisions. Head over to collegedata.com. Type the name of a college into the search bar. Look to the right on the scroll bar. The percentage under “Merit” is the percentage of students who receive free money merit aid at that college. Do you have friends who are parenting kids ages 16–18? SHARE this post on Facebook, Twitter, and LinkedIn right now. What about you? 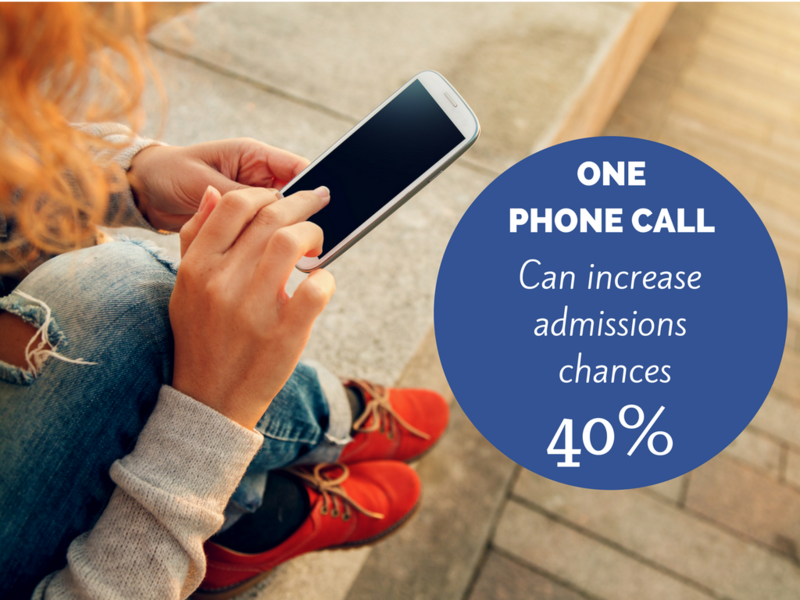 What strategies have you found for increasing admissions chances, besides just improving grades and test scores? Comment below or LIKE Jeannie Burlowski Author on Facebook, find this post on that page, and let’s talk about it there.